Late at night, after the specially invited First Class passengers had left the Captain's Table, and after the dancing had ended with couples, their masks removed, barely stirring in each other's arms, and after the stewards had taken away the abandoned glasses and ashtrays and were leaning on the four-foot-wide brooms to sweep away the coloured swirls of paper, they brought out the prisoner. It was usually before midnight. The deck shone because of a cloudless moon. He appeared with the guards, one chained to him, one walking behind him with a baton, We did not know what his crime was. We assumed it could only have been a murder. The concept of anything more intricate, such as a crime of passion or a political betrayal, did not exist in us then. He looked powerful, self-contained, and he was barefoot. Cassius had discovered this late-night schedule for the prisoner's walk, so the three of us were often there at that hour. He could, we thought among ourselves, leap over the railing, along with the guard who was chained to him, into the dark sea. We thought of him running and leaping this way to his death. We thought this, I suppose, because we were young, for the very idea of a chain, of being contained, was like suffocation. At our age we could not endure the idea of it. We could hardly stand to wear sandals when we went for meals, and every night as we ate at our table in the dining room we imagined the prisoner eating scraps from a metal tray, barefoot in his cell. — from The Cat's Table, by Michael Ondaatje. I've been working from home quite a bit over the last month, for various reasons. As with any situation, it has its pros and cons. The drawback that most perturbs me is the paranoid feeling that the second I leave my post — whether the chosen premium location of the day be the bed, the sofa, or the kitchen table — I am usurped. 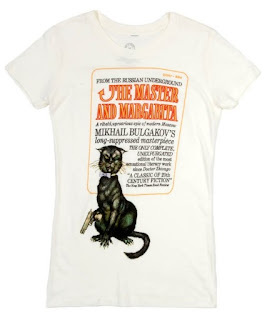 The feline section of this article on Literary Pets is slight, but I am delighted to learn that Alexandre Dumas had a cat who "each day greeted him in the street as he returned from work." I had a cat who used to do that. I'm currently reading The Cat's Table, by Michael Ondaatje. It is enchanting, like your grandfather recounting his childhood adventures (or so I imagine). "What is interesting and important happens mostly in secret, in places where there is no power." I did it. I finished something by Conrad (The Duel). Colonel D'Hubert himself, hardened to exposure, suffered mainly in his self-respect from the lamentable indecency of his costume. A thoughtless person may think that with a whole host of inanimate bodies bestrewing the path of retreat there could not have been much difficulty in supplying the deficiency. But to loot a pair of breeches from a frozen corpse is not so easy as it may appear to a mere theorist. Even though I thought it quite funny in spots, there were times I thought this novella dragged. I don't think I'll be trying Nostromo anytime soon, but I believe the curse is finally broken. This ebook includes a lot of supplementary material, about this story and about duelling. I haven't worked my way through all of it, but I was delighted to discover that the historical duel on which Conrad based his story took place between two French officers, Fournier and Dupont. Being that I live with a Fournier, upon learning this tidbit I can better appreciate the grandiose sense of honour and justice that might lead to the sort of decades-long standoff Conrad described. A Trick of the Light, by Louise Penny, was a wonderful discovery for me, and the perfect first read for me of RIP VI. It's a detective novel with lots of traditional elements: a sleepy village, eccentric characters, a troubled police inspector (well, they're all troubled, aren't they? — and this one may be less tortured than many). It's not exactly a locked room, but the list of possible suspects is limited to a fairly small group. And there's a big reveal at the end, on a stormy night. The story: A body's found in Clara's garden, the morning after the big party celebrating Clara's art show. That's pretty much it, but you don't need anything more. Clara's an artist, so it's natural that she should be surrounded by other artists. And critics and art dealers and a poet. It makes for some wonderful digressions on the nature of art, how much of it inspiration versus hard work, the subjectivity of its value. One clue leads to an AA meeting, and the cast is then filled out with alcoholics. That leads to some interesting discussions about finding your happy place, whether it's possible for a person to change, and when are people really themselves. And forgiveness, and doing things for the right reasons. The thing about this book: it made me feel very smart. Not in a look-at-me-I'm-reading-War-and-Peace kind of way. And not in a I-figured-out-whodunnit-by-page-23 way either. (I've always been really crap at figuring out whodunnit.) But in the way I recognized clues, the way my mind wandered down certain paths. The thing is: I know I was led down these paths, in the way clues and characters were smoothly, elegantly revealed. The reader may guess, but the reader won't figure it out, as some vital information is withheld. But this does not detract from the pleasure of reading this novel. I don't have many benchmarks when it comes to mysteries. This book feels a little like Agatha Christie, but not so dated. It doesn't have the verbal flair of Fred Vargas — the conversations and observations here are just as philosophical, but toned down, more natural — but then it doesn't get carried away either with the unbelievable, sensationalistic, or just plain weird plot stuff that Vargas gets away with. It is exactly what it sets out to be, and that's more than can be said for some other mystery books (for example, Erasing Memory, by Scott Thornley, which I read earlier this summer) that veer off into thriller territory or gawd knows what. A Trick of the Light proved to be very comfortable and very comforting. Agent Lacoste was exhausted. She wished she could take her bowl of café au lait and a croissant, and curl up on the large sofa by the fireplace. And read one of the well-worn paperbacks from Myrna's shop. An old Maigret. Read and nap. Read and nap. In front of the fireplace. While the outside world and worries receded into the mist. A Trick of the Light is Penny's seventh book in a series of mystery novels featuring Chief Inspector Gamache. Let me assure you that it stands perfectly well on its own, but it does refer to previous cases and it's evident the characters are evolving. I'll be looking up her previous books. If A Trick of the Light is any indication, they're the perfect thing to have on hand for a rainy day. These poets are new to me, with the exception of Sommer, who is fast becoming a favourite. It's been a few years since I followed along with Carl's annual autumnal Halloween-mood-based challenge, Readers Imbibing Peril (RIP). The goal is to celebrate books that might be classified in the following genres: Mystery. Suspense. Thriller. Dark fantasy. Gothic. Horror. Supernatural. I'm pretty noncommittal with respect to reading goals, but sometimes it just feels right. Having just come off 5000 pages of political romance, I'm looking to switch gears and clear my way through some of the books that inadvertently got set aside. As it happens, a number of them fit the above-mentioned categories. A Trick of the Light, Louise Penny. Mystery (of the cozy variety). I was drawn to this book by the Montreal backdrop. The Train, Simenon. Psychological suspense. 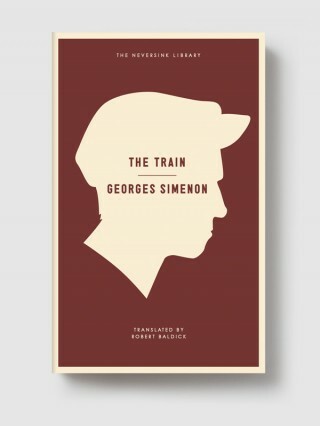 Because I think Simenon's amazing. The End of the World in Breslau, Marek Krajewski. Noir mystery thriller. I read the first of this series a few months ago and was struck by the unique setting — 1930s Nazi-run Wrocław. Eyes to See. Joseph Nassise. Creepy supernatural suspense horror thriller. This one's a review copy. Heck, I'll give anything a try. And the cover looks pretty demonic. And this might be the year I pick up Shirley Jackson's classic, The Haunting of Hill House. This series of books alone, with its vast array of characters, offers a reader hundreds of lives: lords, princes, queens, whores, fools, pawns, swordsmen, witches, holymen. I've finished A Dance with Dragons, book five of George R.R. Martin's A Song of Fire and Ice. This series has been quite the unexpected 5000-page diversion for me these last few months. I'd planned on reading all sorts of things this summer. Instead I found myself embroiled in the politics of Westeros. I've been reading it sunny days on the boat, rainy days curled up on the sofa, late into the night, with my morning coffee. Sure, I read a few smaller novels alongside these, but the world of A Song of Fire and Ice has sprawled across my summer. The standout book for me is book three (A Storm of Swords), but each of them has its key events and players and shifting tides. A Dance with Dragons had a lot of hype to live up to. I'm disappointed that this book had almost nothing about Arya, whose storyline and current circumstances I find most intriguing. There's little about Cersei and Jaime, nothing of Sansa or Sam. But instead Martin returns us to Tyrion and Jon, whose respective stories had been ignored in book four. One thing I dislike about this book is the new trick of naming chapters coyly (for example, The King's Prize, or The Blind Girl) instead of owning up immediately to the character perpective being taken as has been the tradition so far. But I guess the suspense ultimately pays off. I'm devastated that certain people die. This series is addictive. The world is detailed, the characters (most of them) are fully three-dimensional. Life here is ethically complicated. There are bits that drag, but Martin always kept me wanting to know what happened next. I'm already looking forward to The Winds of Winter.